With the festive season around, many shoppers find it convenient to reach the stores empty-handed. 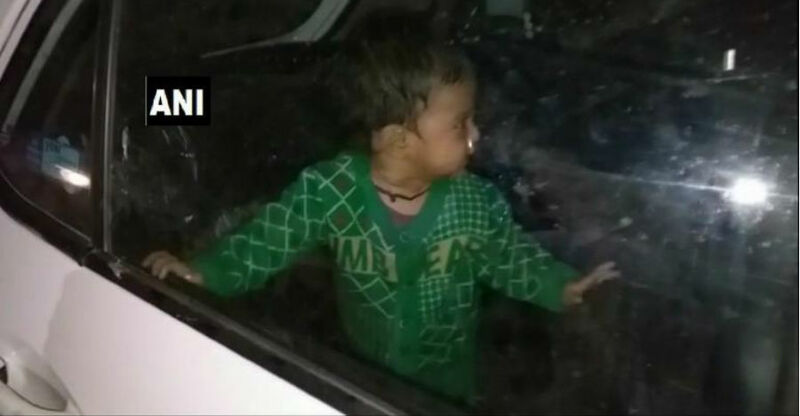 In Meerut, parents of a toddler left the child inside the vehicle while they went away for shopping. The toddler was found scared inside the vehicle when the alert locals broke the glass window of the vehicle to rescue the child. The incident took place at the busy Central Market in Meerut on 5th November. Locals found the vehicle parked and the toddler inside it. After searching for the parents, the window was broken to rescue the child. It is not known if the AC was running but it is highly likely that that the vehicle was off and the baby girl was locked inside while the parents were busy shopping. The cops later came to the spot and warned the parents of doing such acts in the future. There have been quite a few instances where parents left their young children inside the vehicle while shopping. Many cases have come up where the pets have been found inside the locked vehicles. Such incidents are quite common in many foreign countries but the trend is quickly catching up in India. Leaving a child or pet inside a locked vehicle without the AC running can be highly dangerous. If the vehicle is parked under the sun without the AC running and windows closed, the temperature inside the vehicle can rise quickly due to the greenhouse effect. Studies have revealed that the temperature inside the vehicle can rise by 20 degrees in just 10 minutes in an open parking with the direct sunlight falling on the vehicle. An hour of exposure can raise the temperature by 40 degrees. The cabin of such parked vehicles can become hot very quickly. It should be noted that a child’s body temperature changes very quickly when compared to the adults. Children do not fully develop the ability to cool down the body quickly. Children can suffer from severe heat stroke and can even die. There have been numerous cases where toddlers have died due to extreme heat. Same goes for the pets. Also, leaving a child unattended in the car can be dangerous in many other ways. The child can get hurt by falling from the seat or may just start crying uncontrollably due to the solitude. Even though there are no rules in India to stop such things but the parents can be booked for hurting the child. In the Meerut case, cops gave a strict warning to the parents and let them go.